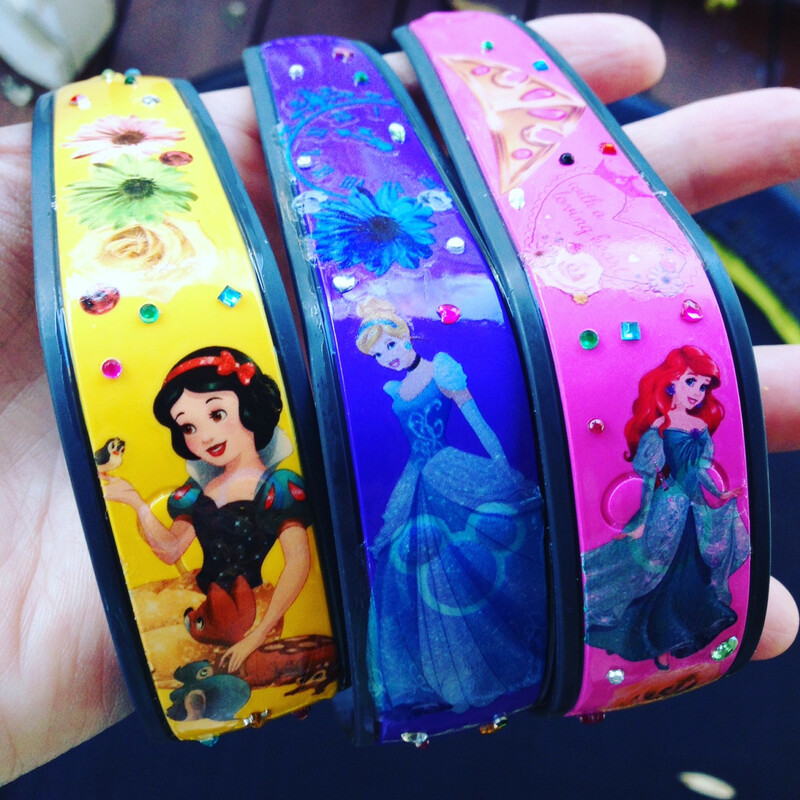 13 Must-Know MagicBand Tips & Tricks! MagicBands are one of my favorite parts of a Disney vacation. Having my room key, credit card, park ticket, and FastPasses on my wrist makes life so much easier! Since I am such a MagicBand lover, I have accumulated lots of tips and tricks for getting the most enjoyment (and least hassle) out of using MagicBands at Walt Disney World. I can’t tell you how many times I have accidentally pulled my MagicBand off when I am putting my backpack on or taking it off. I purchased a two-pack of BitBelts on Amazon for $2.99 that help hold the strap of my MagicBand in place. Or you can get a 7-pack of fasteners for $6.99 here. No more MagicBand flying off when I’m getting on and off attractions! If you don’t want to wear a MagicBand on your wrist, you can purchase a “MagicKeeper” lanyard clip or carabiner that will hold the puck from your band. 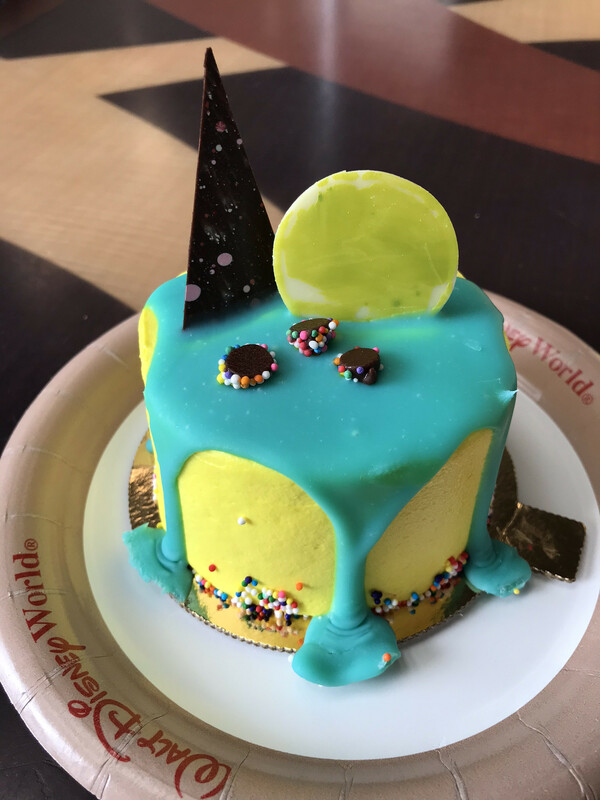 You can buy these in the parks or online before your trip at the Disney Store. 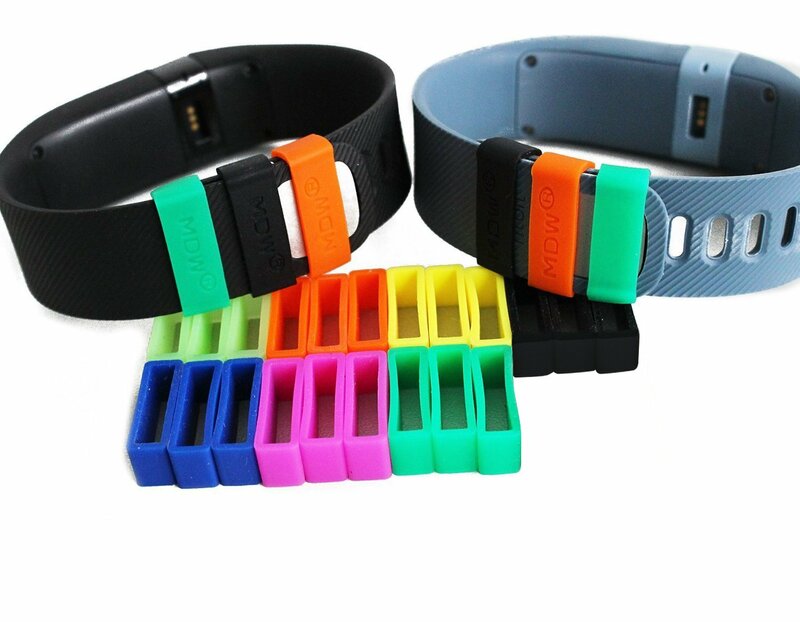 Just scan the MagicKeeper as you would your band and you are good to go. You’ll get free Magic Bands for everyone in your party when you stay at a Disney World resort hotel. 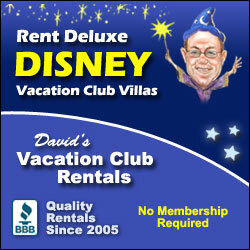 But that doesn’t mean you have to pay Disney prices! After you make a reservation through any of these third-party sites you’ll get a Disney confirmation number. 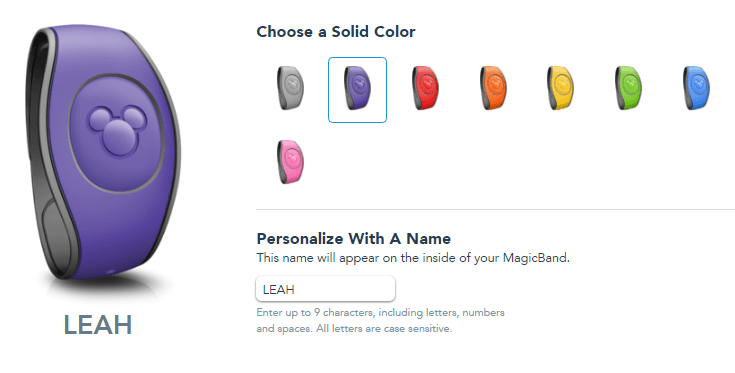 Just link this to your My Disney Experience account and you’ll be able to customize your free MagicBands and have them sent to your home about 4 weeks before your trip. 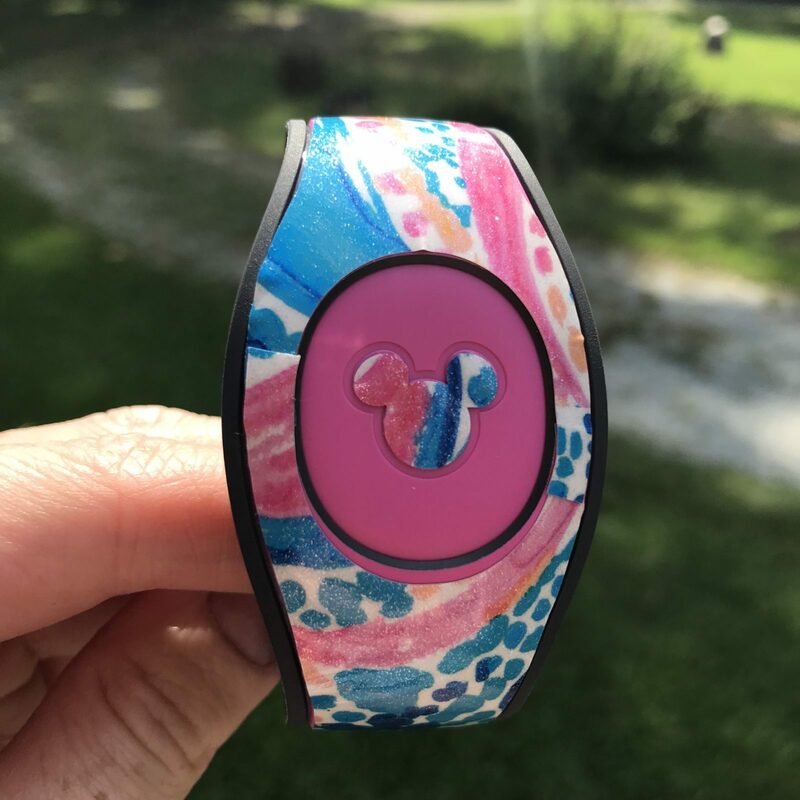 Purchasing a “skin” or decal for your MagicBand is an easy way to get a custom look without having to cough up close to $25 for a special band from Disney. Check out all of these awesome MagicBand decals available for order on Etsy. You can pretty much find ANY design your heart desires, from Dole Whips to Figment, and most are under $8 shipped. If you don’t shy away from some DIY, check out my post on how to use tattoos, clear fingernail polish, and nail gems to create a blinged-out MagicBand. The total cost for customizing three bands for a girls’ trip was $2, and we got countless compliments on our bands! If you do happen to lose your MagicBand, let a Cast Member know right away. They can likely get in touch with someone who can locate it thanks to the RFID signal it is emitting. The removable puck in the new MagicBand 2.0 allows you to mix-and-match your MagicBand colors within your travel party. Just use a tiny screwdriver to loosen the screws on the back of your band, then pop the “puck” out and switch them around. It’s a quick way to get a custom look for your bands. If you are traveling with a little one, consider using a silver Sharpie or paint pen to write your phone number on the inside of their MagicBand. If your child is ever separated from you, a Cast Member can use it to locate you quickly. If you want to know what time it is to keep up with your FastPass reservations but don’t want to wear a watch AND a MagicBand on your wrist, consider getting a MagicSlider with a built-in watch. 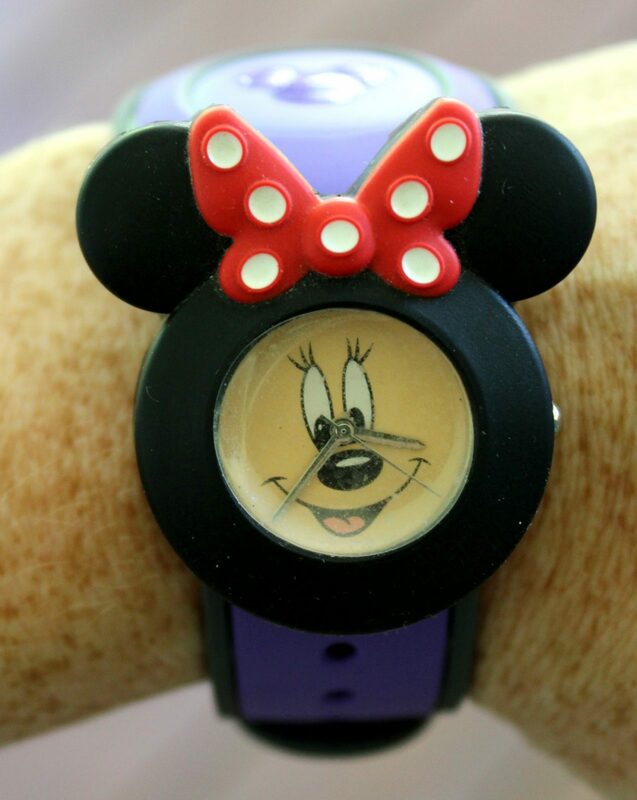 You can get them with either a digital or analog clock from Disney Store or in the parks. Everyone must use the MagicBand connected to their account to enter the parks because of the fingerprint scan. However, you can use someone else’s MagicBand for FastPasses. If a member of your group has a FastPass for an attraction that they don’t want to ride, they can lend their MagicBand to someone else to let them ride multiple times! Learn everything you need to know about using FastPass at Disney World in this post. If you have a Disney Dining Plan during your stay, all of the credits for the entire trip are loaded onto the MagicBands of everyone in your party. This means that if you separate anyone can use a snack or meal credits on their own. Also, any member of the party can have their band scanned to when it comes time to “pay” with your credits. You may want to check out this post with tips and tricks for making the most of the Dining Plan. Sometimes we stay in the same room with a grandparent or friend who wants to make charges back to their own credit card with their MagicBand. A Cast Member at your resort’s front desk can link a particular MagicBand to a credit card that’s different from what’s on file for your room charges. We have done this often and it has been successful on all but one trip. As you might know, a MagicBand is a link to your My Disney Experience account. 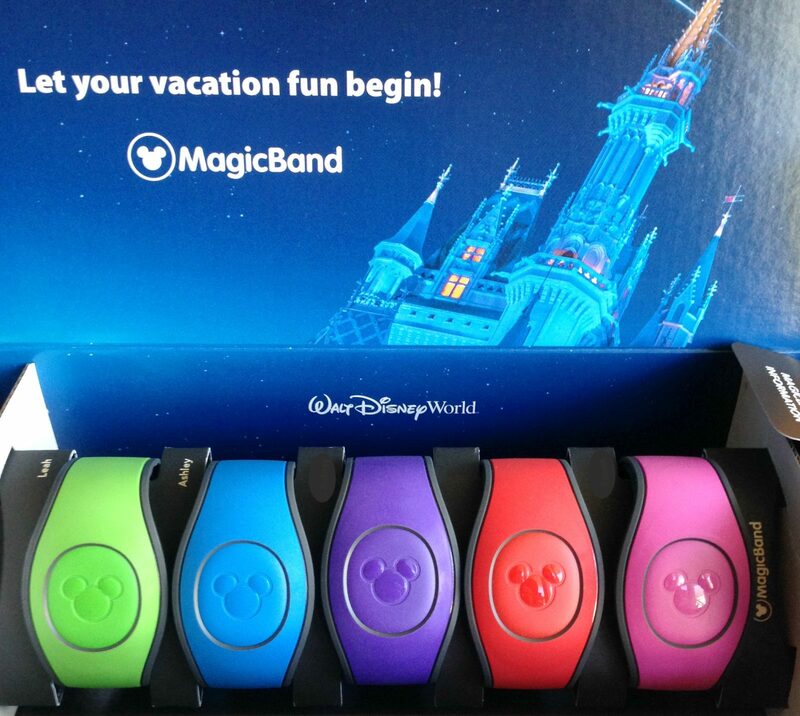 That means that any MagicBand that is active in your account can be used during your trip. If you are doing a split stay at two resorts, you don’t have to switch MagicBands during your trip – one band will work throughout your stay. I hope these MagicBand tips help you have a great experience on your next visit to Walt Disney World. 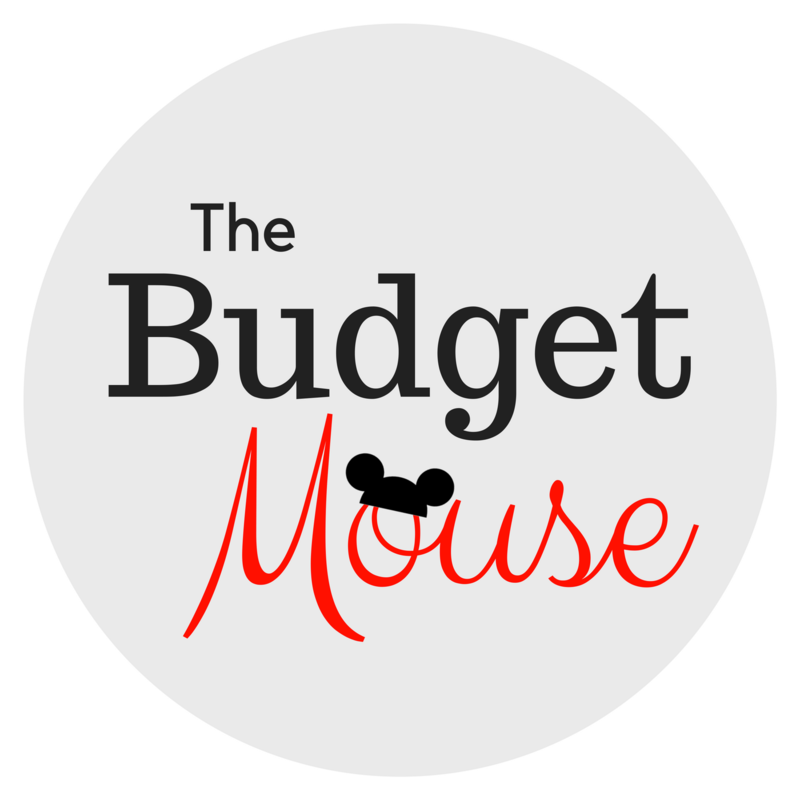 If you have any questions, leave a comment below or join the discussion in The Budget Mouse free private Facebook group! 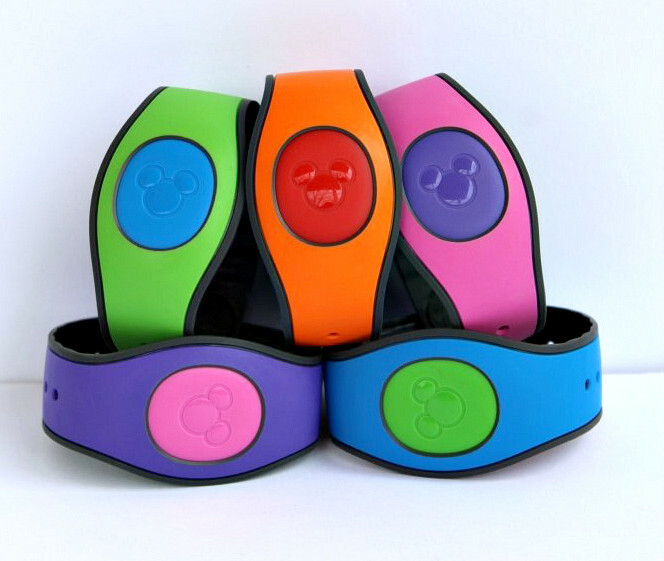 Get FREE Special MagicBands When You Book Your 2018 Disney Vacation by November 15th! 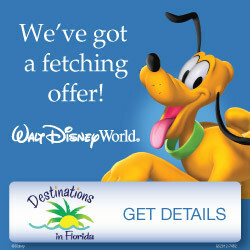 How or when will I get my magic bands if I booked our Disney Resort rooms through Orbitz? Thanks! Hi Tracey! You will have to a take a few additional steps to get your MagicBands when you book through Orbitz. 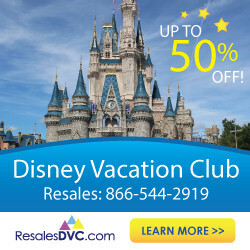 I walk you through the steps in this post: https://www.thefrugalsouth.com/how-to-use-orbitz-to-book-disney-hotels-save-still-get-disney-benefits/ Hope that helps!